Our top of the range panels with the most efficient cells currently available on the market (SunPower, 24% efficiency) – for maximum power on the smallest footprint. High low-light efficiency and very good thermal coefficient. 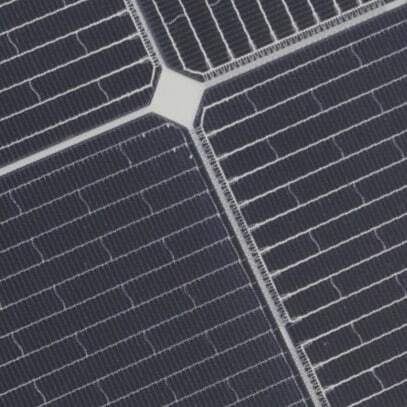 Highly efficient monocrystalline silicon cells (>20%), embedded in two patented metallic grids to optimize both energy harvesting and mechanical stability. 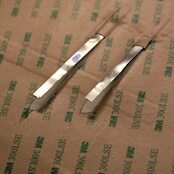 Perfect for textile installations and highly stressed panels. 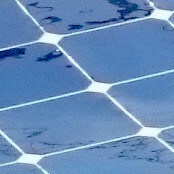 Monocrystalline cells (>20% efficiency), electrically connected using ultra-thin copper wires that form a very fine mesh on the cell surface. Highly competitive price, mostly used for installations without high mechanical stress such as caravans and architecture. 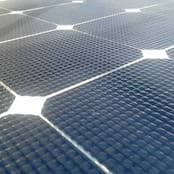 Our flexible solar panels, extended through integrated high-efficiency MPPT charge regulators. 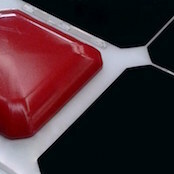 Simply connect directly to the battery, can be combined with other ALLinONE panels in parallel. A combination of zippers and velcro, permanently connected to the solar laminate and matching the color of textile surfaces. Perfect for installations on textile structures, highly windproof and aesthetically pleasing. Pre-mounted adhesive for permanent walkable installations on rigid surfaces. 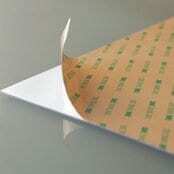 Industry-grade acrylate adhesive with a foam backing to distribute forces and thermal expansion ensures a reliable and waterproof connection, e.g. 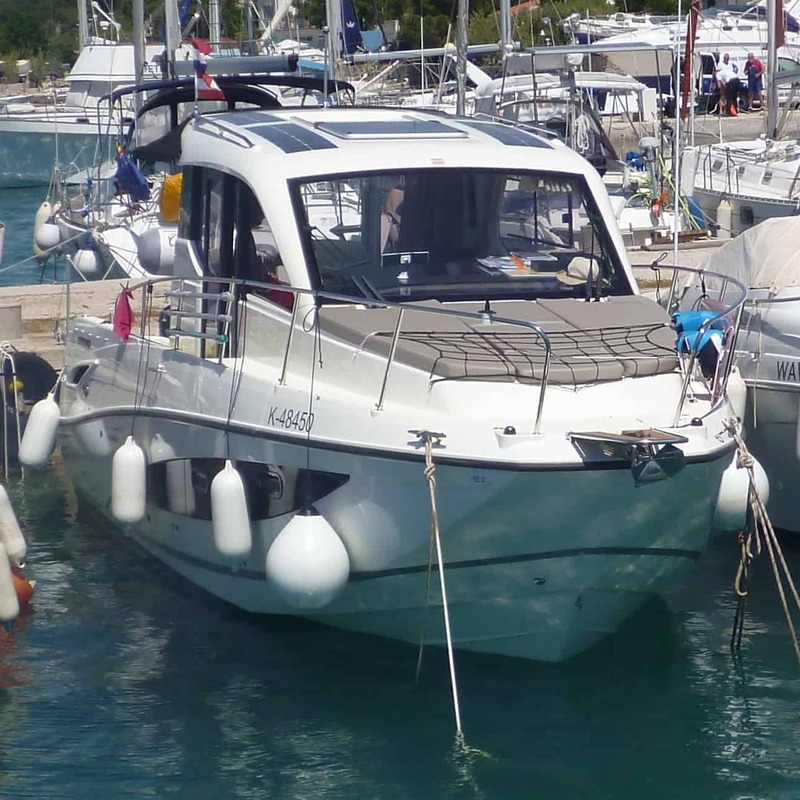 with yacht decks and caravan roofs. LOXX quick-connect mounts allow a quick and reliable connection to a variety of materials. Mostly used for temporary installations on textile surfaces, adapters for rigid surfaces and metric threads are available as well. Stainless steel eyelets are a versatile mounting option, they allow the panel to be flexibly placed and mounted with cable ties or ropes. Can also be combined with LOXX quick-connect mounts. 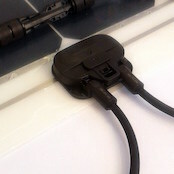 Connection boxes on the front or back of solar panels (different types available) allow a quick and waterproof external connection using MC4 connectors. All electronics inside are resin-potted for a long-lasting and reliable connection. 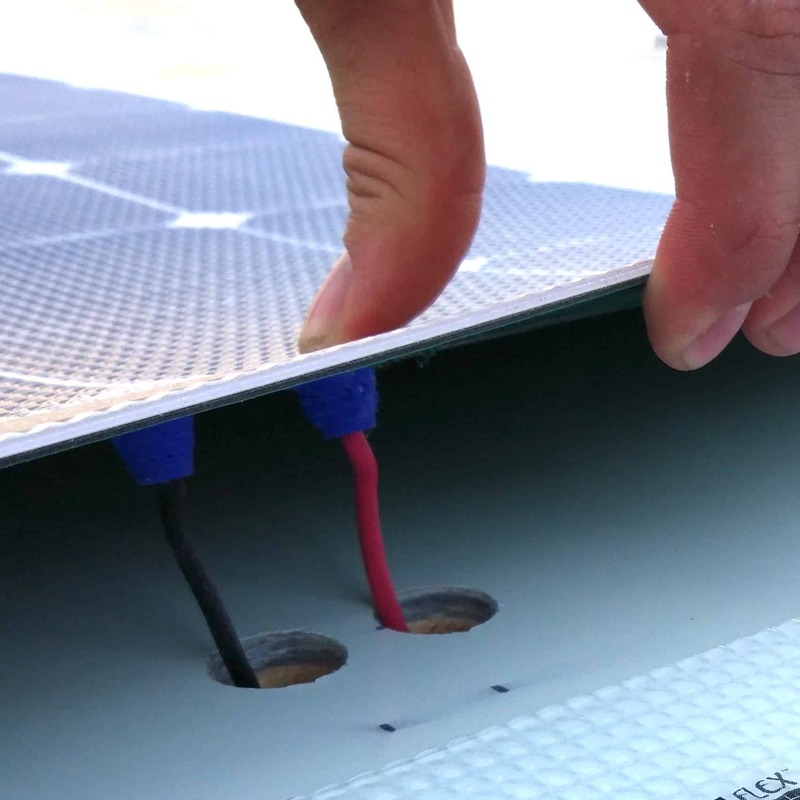 Our innovative rear wire solution creates an invisible, waterproof and perfectly protected connection below the solar panels. 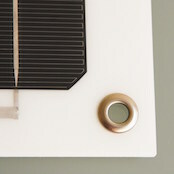 Combined with pre-mounted adhesive this connection system creates perfectly integrated walkable solar systems. Works like the rear cables, needing even less space below the panels. Installation is more complicated, additional insulation and mechanical protection needed choose rear wires whenever possible. Together with your solar system we deliver efficient MPPT charge regulators – perfectly matched and programmed for your solar and battery system. 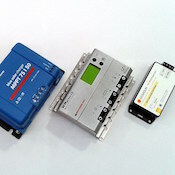 Systems for all voltages and battery technologies available. Highly resistant glossy surface. Optically pleasing and practically self-cleaning through rain. Can be slippery when wet, used for installations which are not being walked too often. Even more resistant, our structured anti skid surface forms thousands of small lenses, allowing water to exit through small channels below the soles. Less slippery with the same power – perfect for walkable installations. Should be cleaned regularly with plain water. 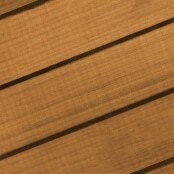 Alternatively to our standard white laminate you are free to choose black or transparent base material. 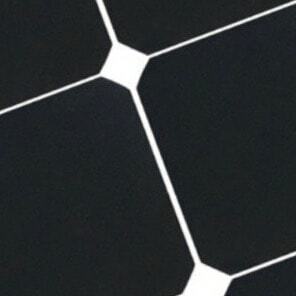 Black is perfect for hiding the solar cells and integrating the system in designs using special panel shapes. Interconnection ribbons can be covered to create completely black panels. 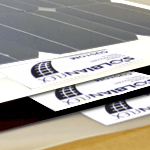 The iSP series uses a patented technology to pigment the panel’s frontsheet. With little power loss, this allows to hide the cells and create solar systems looking like teak decks, company logos or textile surfaces. 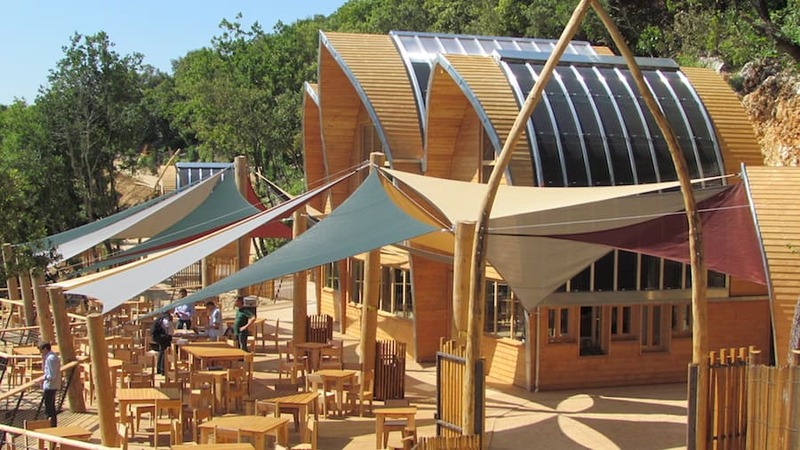 The Salamander cave in France completely powers its lighting system using SolbianFlex CP panels, which have been manufactured with black laminate to integrate nicely into the architecture. 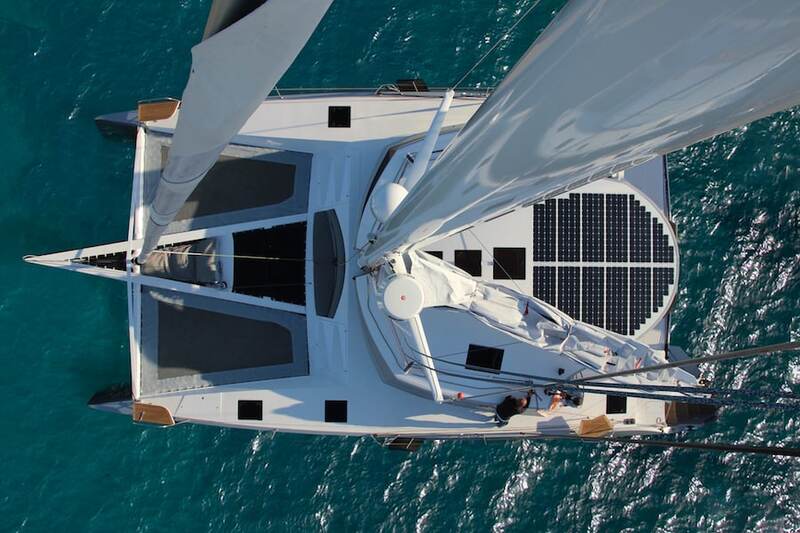 The refit of an Outremer 64 catamaran has been used to replace the textile cockpit cover with a hardtop, integrating a solar system to make the yacht self-sufficient for long offshore journeys. 12 SolbianFlex SP104 with nonskid surface, rear wires and pre-mounted adhesive create a fully walkable system, the wiring is invisibly covered inside the fiberglass structure with a maintenance cover. Six separate MPPT charge regulators massively increase shade tolerance and have been programmed to fit the custom LiFePO4 battery system onboard. A peak power of 1.248Wp creates a daily yield of around 6kWh (12V: 500Ah, 24V: 250Ah). 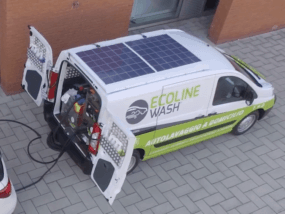 A system like this can be installed in around 8-12h, it took two people 1-2h to mount the solar panels. 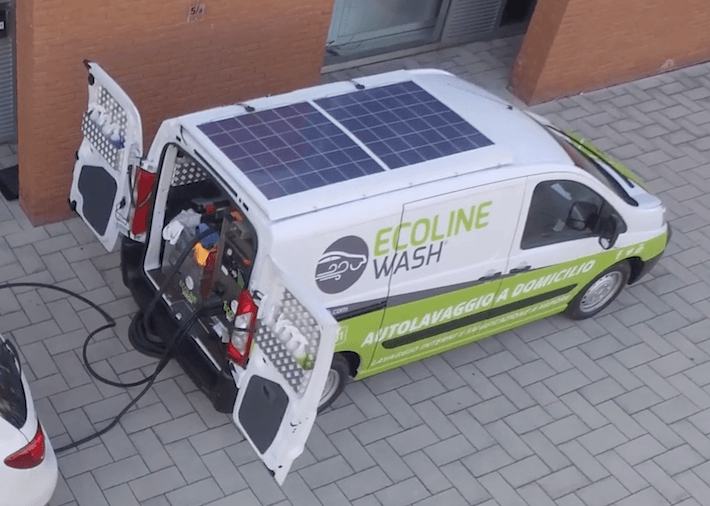 290Wp SolbianFlex SXp solar panels make the EcoLine mobile car wash a green and convenient alternative to ordinary fixed car wash stations. 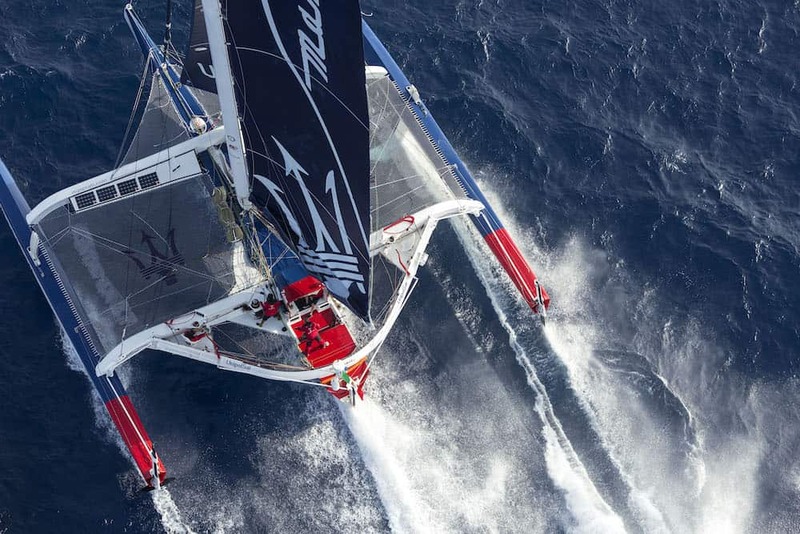 Giovanni Soldini’s successful VO70 “Maserati” has been one of our very first sponsorship projects. 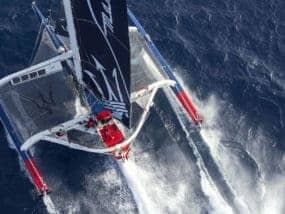 The boat has been used as a test-bench for prototypes and new developments, pushing them to the limits under extreme environmental conditions. The first SolbianFlex SP prototypes are still onboard and working! 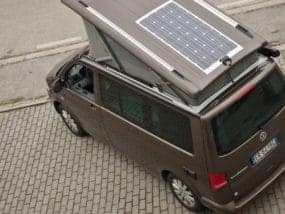 The SolbianFlex CP125 (today replaced by the SX162 – 23% more power on the same footprint) makes the VW California self-sufficient and powers radio, freezer box, inverter etc. Its low weight (2,4kg) makes sure the handling of the lifting roof remains unchanged, the low profile of only 2mm creates an almost invisible solar system, leaving the mounting rails unobstructed. Alternatively to the junction box shown on the pictures, the panel can also be integrated using our invisible rear-wire option. 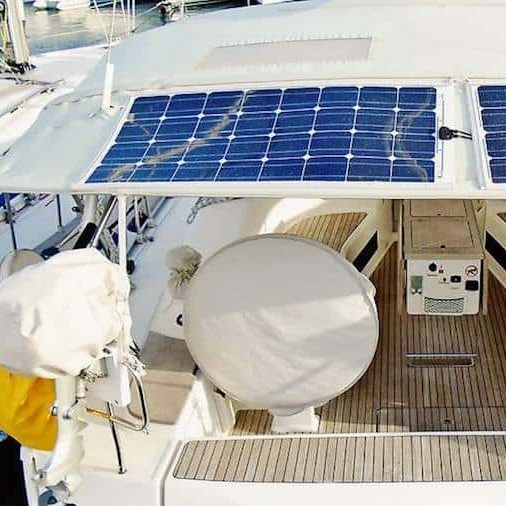 In close collaboration with the Alibi shipyard and ANTS Yacht-Consult we created a fully integrated solar system with 1.570Wp. 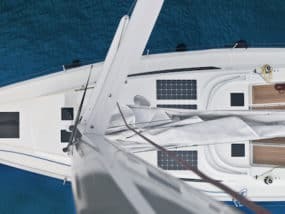 The SolbianFlex SP panels with nonskid surface have been shaped using 3D CAD data and follow the shape of the cockpit roof – not only creating a good optical appearance but also taking care of possible shadows from the boom through string layout optimization and bypass diodes. The system powers multiple fridges and freezers, induction stove, washing machine, diving compressor, air-condition and a lot of other electric appliances onboard and makes the yacht completely self-sufficient. The early collaboration during the design process has allowed us to recess the panels completely, making the integration even more complete than usually achievable. 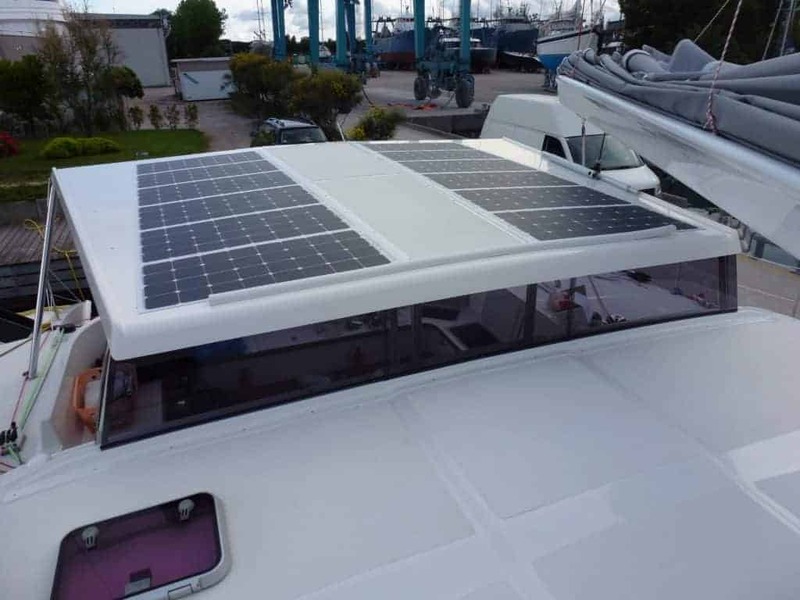 The Alibi 54 solar system has been awarded the National Energy Globe Award 2018. The Gervasutti shelter is located on the Montblanc at 2.835m above sea level. 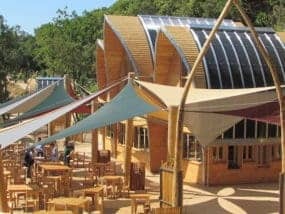 All of its electrical power is delivered by solar panels: 24 SolbianFlex SP100 have been integrated into the bent roof using our pre-mounted adhesive. Their highly resistant frontsheet material not only makes them fully walkable but has already protected them from the harsh elements for a couple of years now: Snow, stones, and extreme temperatures have left their marks on the shelter itself, where repairs had to be done – the panels themselves are still working as designed. 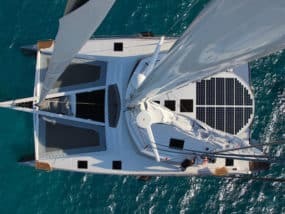 Italy-based Vismara shipyard equips their 47′ model with four fully integrated SP104 solar panels. 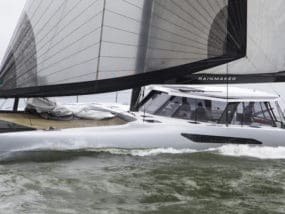 These not only blend into the design nicely but power fridges and instruments onboard to allow the yacht long stays offshore without the need to start the generator. 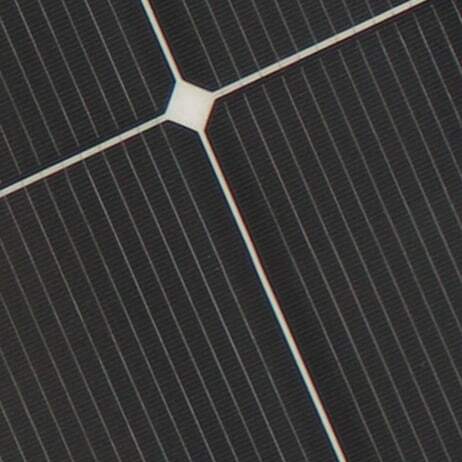 Each panel has its dedicated MPPT charge regulator, eliminating power losses from the boom shadow. 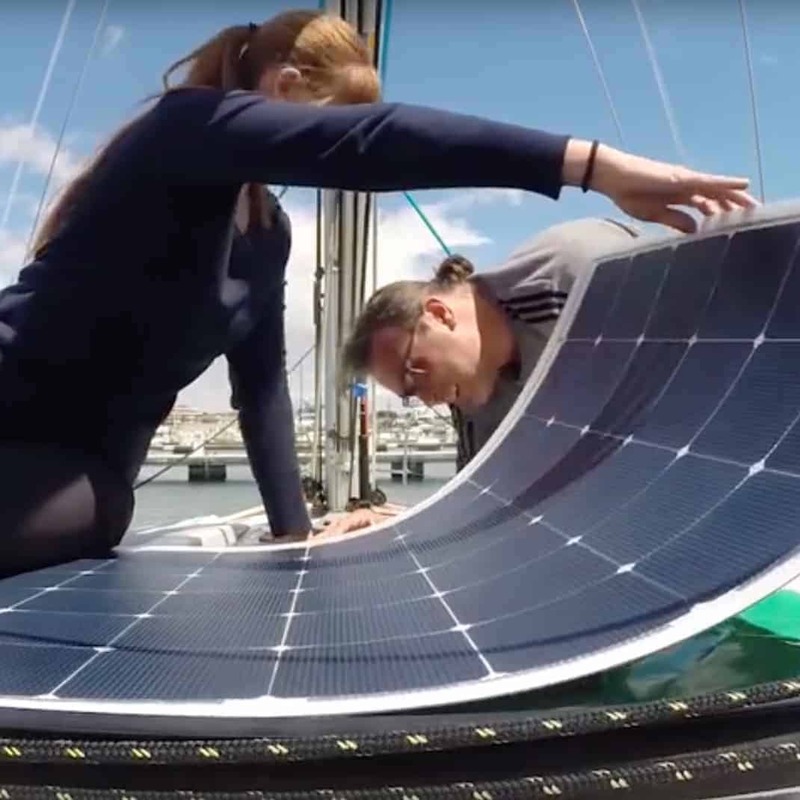 In close collaboration with the Gunboat shipyard – Solbian is delivering all their solar systems – we have developed fully integrated photovoltaics for their Gunboat 55 model. Objective was to create a invisible setup, fully walkable and strong enough to power all electrical appliances onboard. Six SolbianFlex SP panels with a combined peak power of 774W have been recessed in the edge of the roof, black laminate makes them blend into the design perfectly. Vegan cook and author Daniel Pack (Täglich Vegan) travels around the world in a self-sufficient camper. 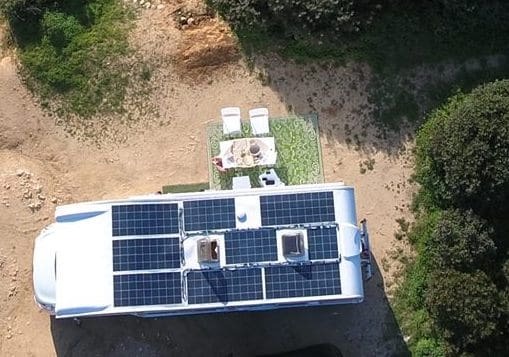 A made-to-measure SolbianFlex SXp solar system with over 1.200Wp charges his lithium batteries and powers induction stove, heater, washing machine, radio, fridge, freezer and all other electric appliances onboard. 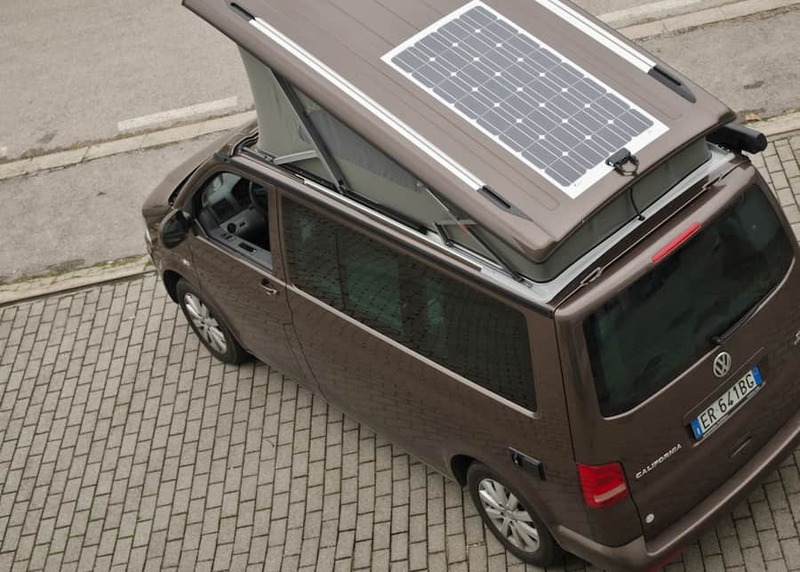 The system’s low weight of 20kg allows them to keep the caravan’s weight below its legal limit of 3,5t. 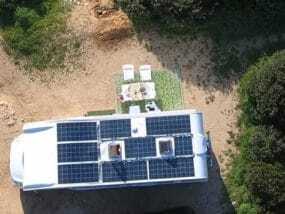 “As the Tausendblatt family we have equipped our caravan with this highly efficient solar system. We are traveling Europe to cook vegan dishes while exploring the most beautiful places in nature. For cooking, we use two inductive hobs. 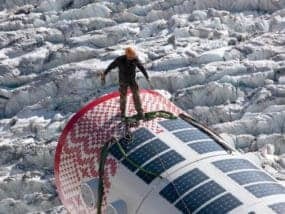 The fridge and the rest of the electric system is also powered by the solar panels combined with a Mastervolt lithium-ion battery. 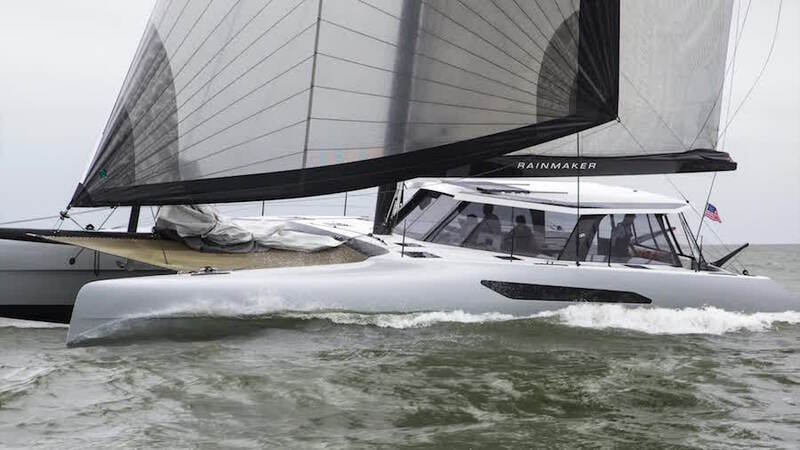 MOD70 trimaran “Maserati” powers its electrical equipment using eight Solbian ALLinONE SP72 solar panels with integrated MPPT charge regulator. The distribution of the charge regulators offers outstanding redundancy and shade tolerance. 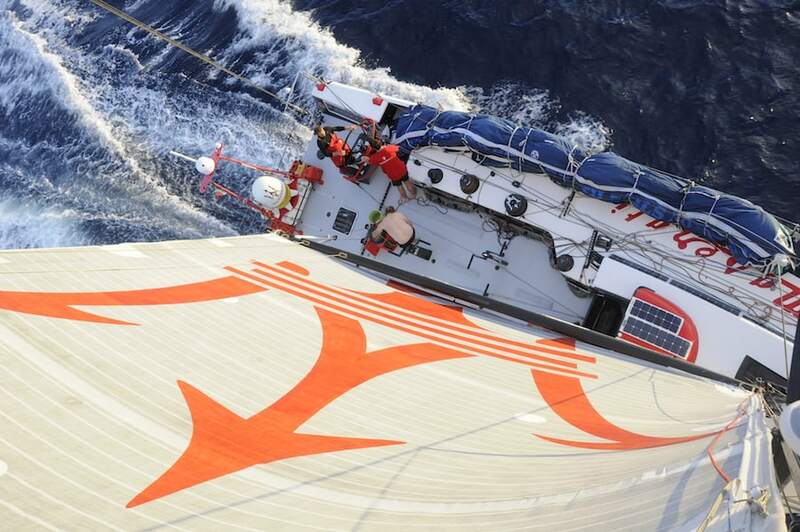 A total power of 576Wp is enough to run the systems onboard with 100% solar energy. 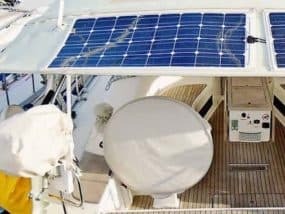 No space for solar panels onboard your yacht? No problem – our lightweight SolbianFlex panels can be mounted on almost every textile structure. 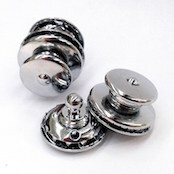 We are offering them with zipper or velcro mounting systems for semi-permanent installations which have to be highly wind-proof, LOXX quick-connect or stainless steel eyelets for installations which have to be removed often. 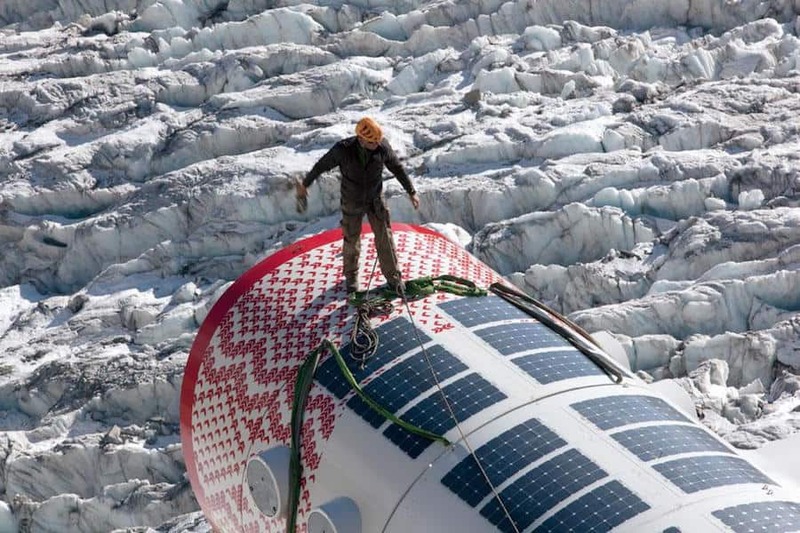 When dismounted, the solar panels can be stored below a mattress to be out of the way. Keeping a panel installed during the winter will keep your battery healthy and make sure they are fully charged once you come back onboard! Installation … easier than expected … adhesive layer working very well. Charge current surprisingly high. Thank you for your effort, … got a really optimized solution. 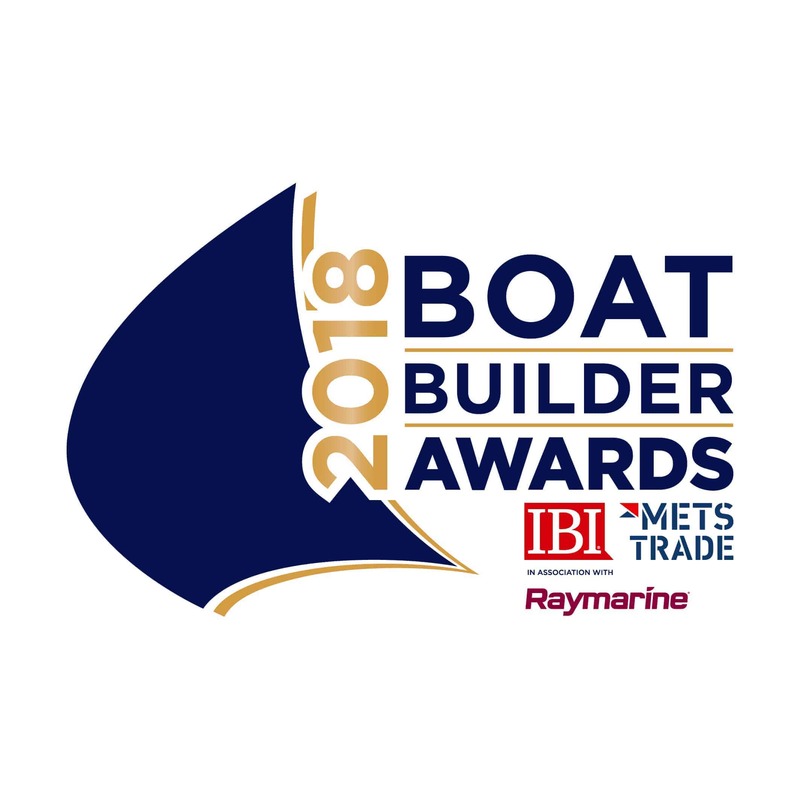 Thank you very much for the hard work planning the system, … perfectly matches our catamaran’s design … strong enough to even power the aircon! The Solbian panels are perfect. I have three of them. Now in their second season, they still deliver higher power than expected. Flawless quality and craftsmanship. 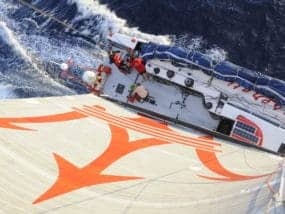 Our absolute favourite piece of equipment 💛 5th day without shore power today. …perfect solar system and display. When the battery drops below 70% we see charge currents around 7-9A, which quickly fill the battery back up. … not only blends into the design, but also offers a technically good solution with 540W peak power and distributed maximum power point tracking.